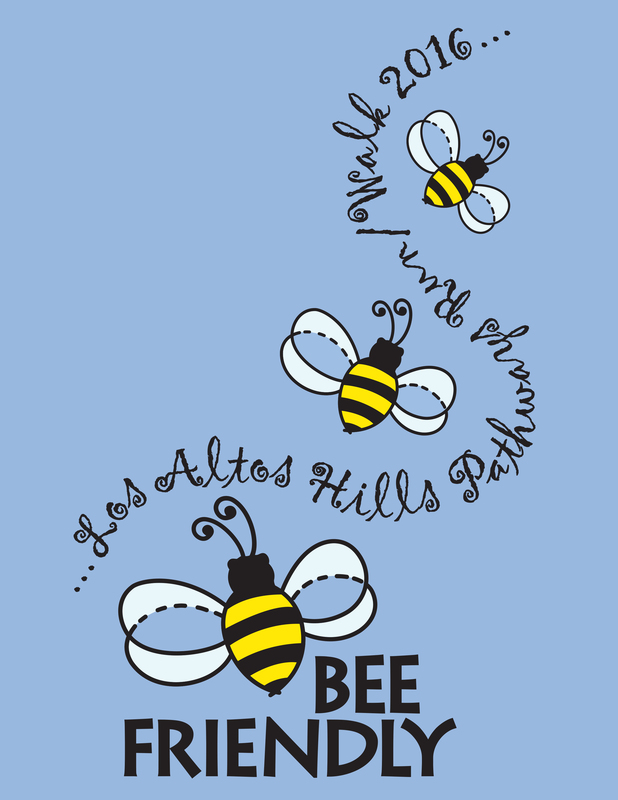 Los Altos Hills Pathways Logo Artwork! Feel free to take these images and print your own posters! Enjoy! 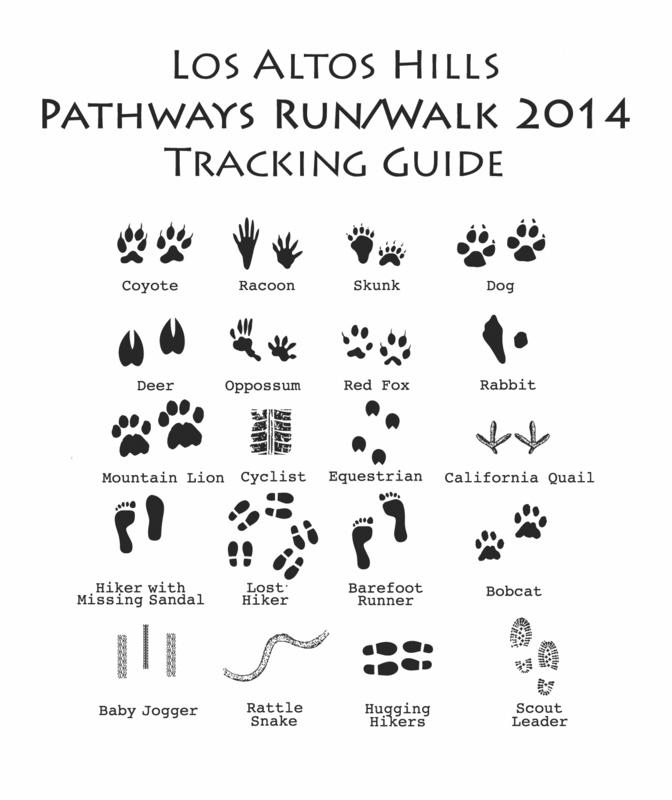 Local Los Altos Hills artist and avid runner Scott Vanderlip has created most of the logos used for the pathways run for the past 17 years. He enjoys combining, art, humor, community, environmental messages, and exercise into the run theme shirts and is happy to personally sign your shirt at the race! The artwork for the 2019 is cross stitch. Although the shirt won’t have the correct fabric to do a real cross stitch, we encourage those who wish to print this image on suitable fabric and make their own Pathways Run Sampler! Click on the image below to get a high resolution version of the JPG image. The 2017 year’s theme is coloring books and the therapy of coloring! This year’s theme is to help raise awareness about the importance of bees and bee pollinators. We can all do our part to BEE FRIENDLY to our bees and everyone. Click on the image below to get a full size JPG image suitable for printing to poster size. Click on the image to get a high resolution JPG suitable for poster printing! 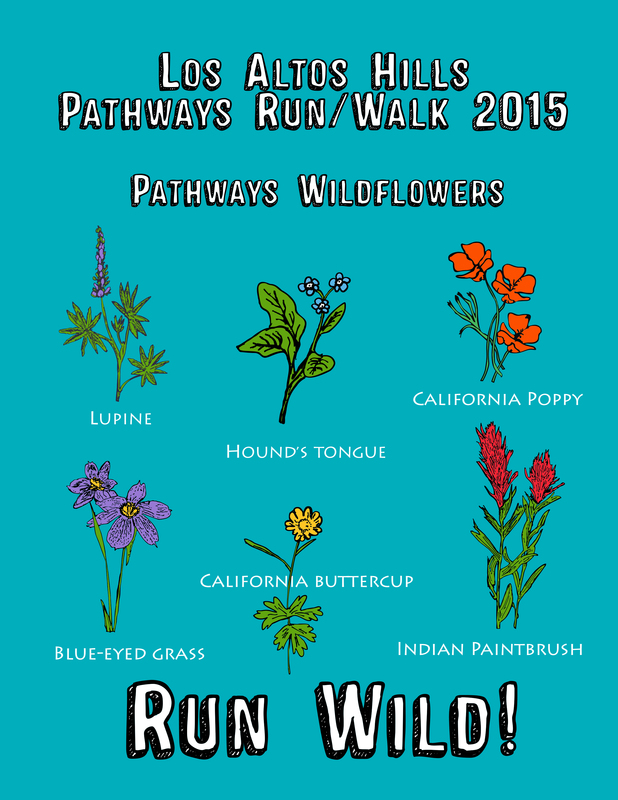 Last year’s Run Wild – Wild Flower theme will be specially printed with 8 colors on Made in American cotton t-shirt shirts. Don’t miss this getting this year’s collectors shirt! 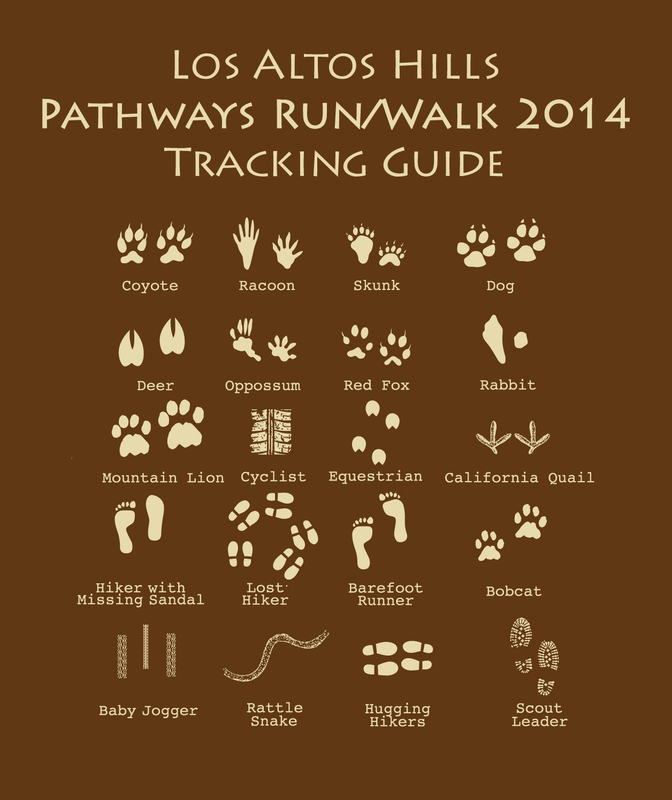 For the past 13 years that Los Altos Hills Pathways run has been organized, a unique poster graphic was created for each run. If you wish, you can take the PDF or jpg images and get them printed at local copy shops that can print full poster sized prints of the run logo graphics. These are larger (2-3 MB) PDF files that allows you to print 16×24 inch posters.